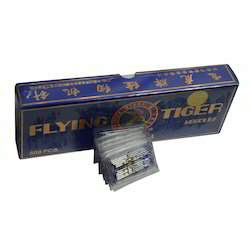 Customers have shown their trust on our firm due to offering best quality Hand Sewing Needles. 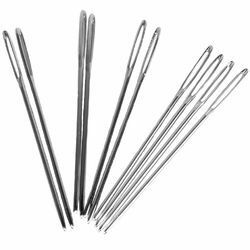 These needles are durable and easy to use with hand and in machines. Offered products are reliable and finely prepared by professionals using best and highly efficient machines. As a new and spectacular addition to our range of Sewing Needles, we bring you "PONY GOLD", the finest sewing needles plated with 22 carat gold. A special Craft Range of these exquisite needles is available packaged in beautiful foil stamped black folders. We are known in the industry for providing highly cost-effective range of Machine & Hand Needles. These needles are widely utilized for sewing in households as well as commercial tailoring units. Made from premium quality basic material, these machine and hand needles are resistant to rust formation. We are one of the most well-distinguished companies in the market that are into offering Sewing Needle.